This page is a work in progress where I shall add links to my own lessons as well as other free resources for the medical practitioners and healthcare workers who would like to learn or improve their Spanish to better meet the needs of their Spanish speaking patients and their families. I hope that it proves useful and please feel free to leave feedback or any suggestions in the comment box below. 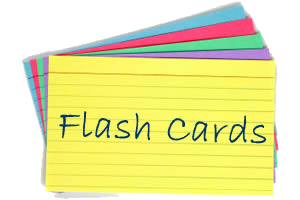 These flashcards are awesome and there are numerous sets all with audio so that you can hear the pronunciation. Highly recommended! Spanish / English dictionary with phrases relating to health and safety. Polygot – Medical Spanish / English Translator includes a dictionary of phrases and conversational phrases grouped into topics such as ‘pain assessment’. Medicalspanish.com offers paid courses but also has a free section with some great resources including medical dialogues and for visual learners they have the human body in illustrated form with Spanish and English names for the body parts. Medical Spanish for Healthcare Providers – This site was apparently designed by a General Surgeon turned Spanish teacher and it has some great resources including short audio clips along with their translations. A basic cultural knowledge really helps healthcare professionals to understand their patients and the Ethnomed site provides just that along with some helpful language resources in PDF form for how to give explanations to patients on various topics (many many topics are covered – from nappy rash to earthquake planning to cancer). Polyglot Multimedia Medical Spanish & English Translator includes a phrase dictionary along with basic conversational phrases grouped into topics such as ‘Pain Assessment’. Medline Plus is a general health website and the great thing about it is that you can toggle back and forth between English and Spanish. Cancér en español – the title of the site is self explanatory and once again there is the ability to view the site in English or Spanish – a very helpful way to expand your vocabulary. Infosida is a website dedicated to HIV and Aids along with helpful articles you’ll find a glossary of Spanish/English terms on this subject. Salud y Seguridad – this site deals with health and topics such as health care plans. Kids Health – this site includes pages for parents and for the kids and teenagers themselves. Diabetes – once again the title of the site is self-explanatory and the information is available in English and in Spanish. Current public health news with the CDC. 123 Teach Me have a multitude of excellent resources for learning Spanish and this includes a section for ‘Medical Spanish’ and useful phrases including audio in the form shown below. If you feel that you could benefit from personal online lessons then please email me at thelanguagetutors@gmail.com as I also offer personalized clases to suit each learner’s personal requirements at a cost of $US25 per hour.